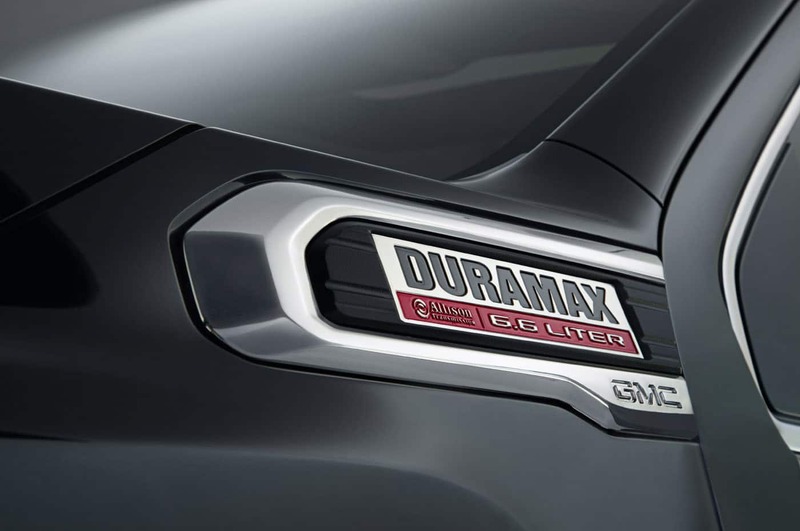 GMC is adding its name to the new heavy duty full-size pickup hat with the latest generation of the Sierra HD. 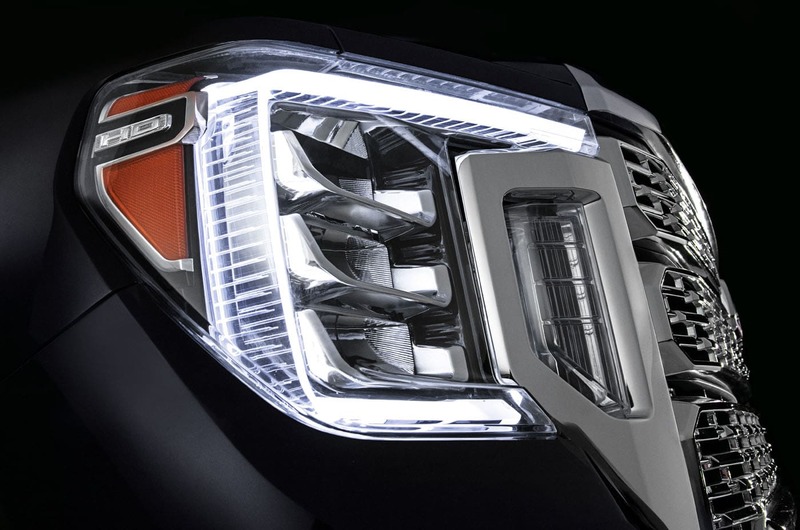 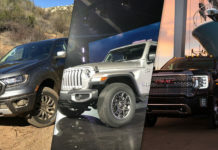 The 2020 Sierra HD unveiled last night joins the recent crop of heavy duty pickups that include the 2020 Chevrolet Silverado HD and the Ram HD unveiled at the last Detroit Auto Show. 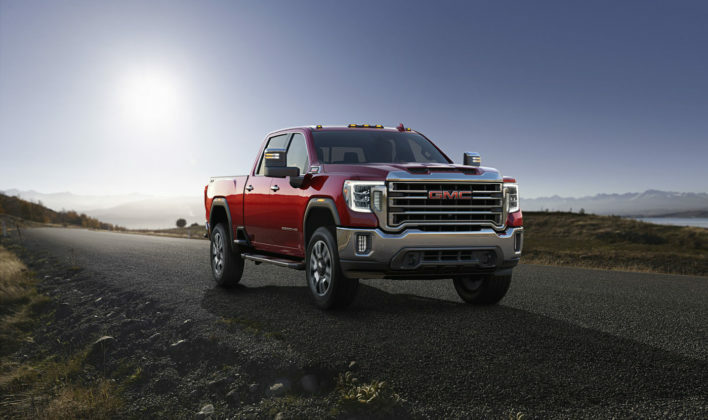 As you would expect, the new GMC Sierra HD shares most of its components with the Silverado HD unveiled last December. 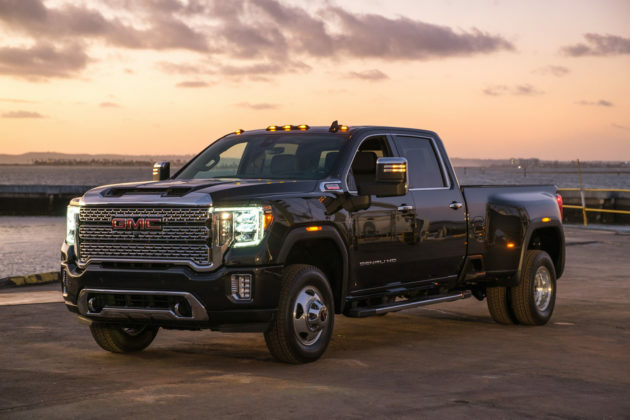 GMC kept things more traditional with its front grill unlike its Chevy brother, but the Sierra HD is still a massive truck. It’s bigger in every way than the current Sierra HD and features new cargo bed side steps on every version as well as GMC’s Multipro Tailgate which is either optional or standard depending on the trim. 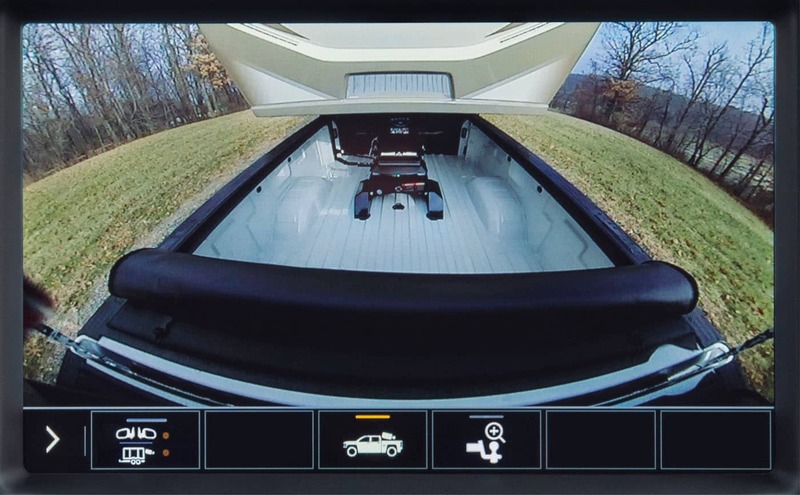 The bed has also been lowered by about an inch for easier access. 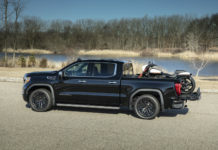 The 2020 GMC Sierra HD will be offered in a new Sierra AT4 variant with both 2500 and 3500 configurations as well as a Denali version. 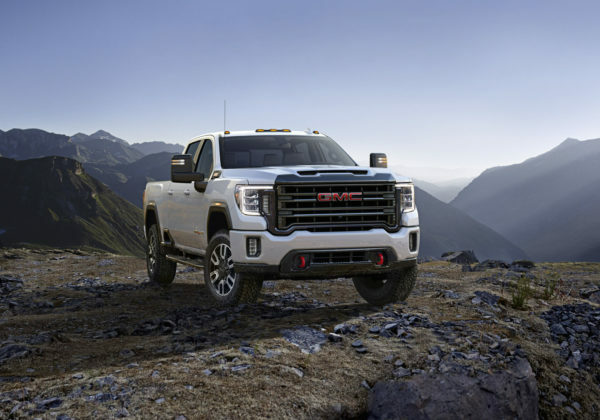 That was to be expected as about half of GMC Sierra HD owners go with the Denali trim. 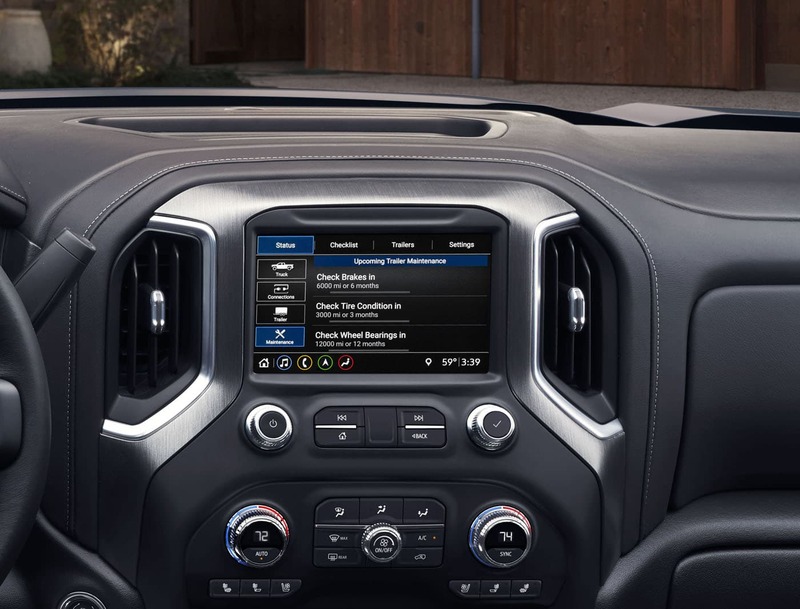 The Sierra HD Denali features premium leather-appointed seating, authentic open-pore wood trim and dark-finish aluminum decor along with a distinctive pattern for the leather seats. 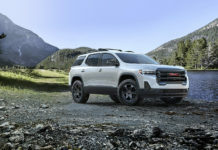 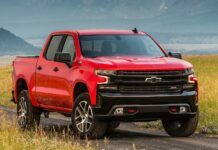 Power will comme from a 6.6-liter Duramax Diesel V8 with 910 pound-feet of torque which should be good to tow about 30,000 pounds. Official towing capacity specs aren’t confirmed, but for now we are still off the Ram Heavy Duty’s 1,000 pound-feet of torque and 35,000-pound towing capacity. 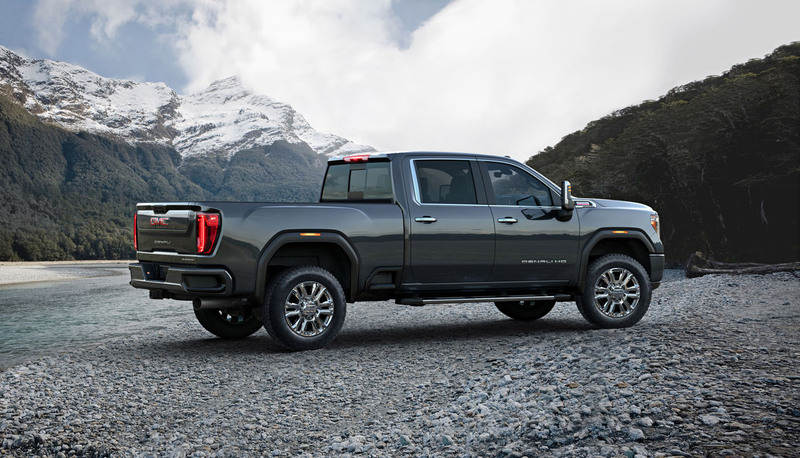 On the other hand, the new Sierra HD gets a 10-speed automatic, a segment first. If you buy a 2020 Sierra HD, it’s because you’re looking to tow and tow often. 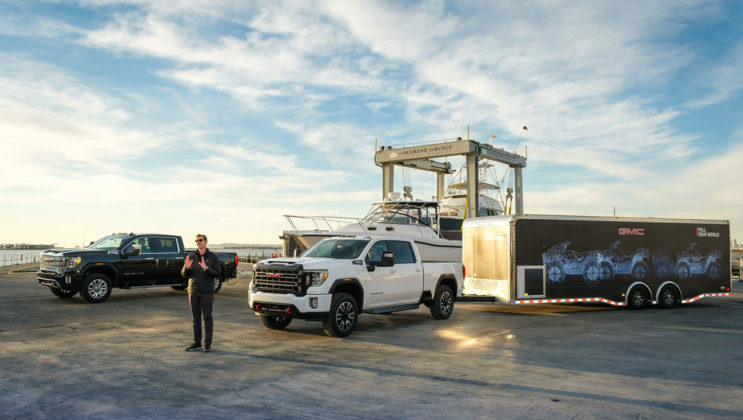 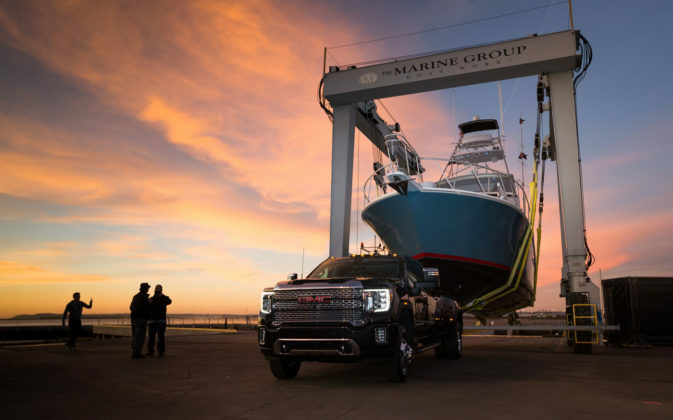 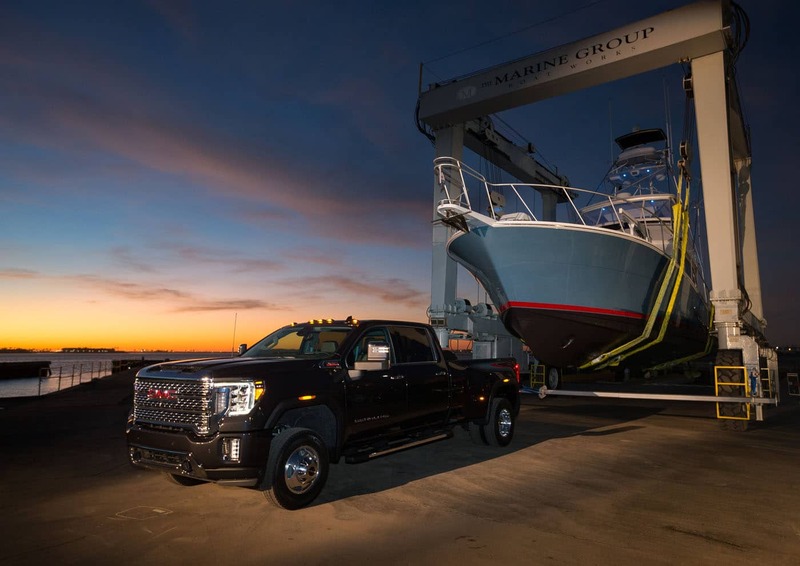 The new ProGrade Trailering Technology first offered on the 2019 Sierra 1500 will help with that. 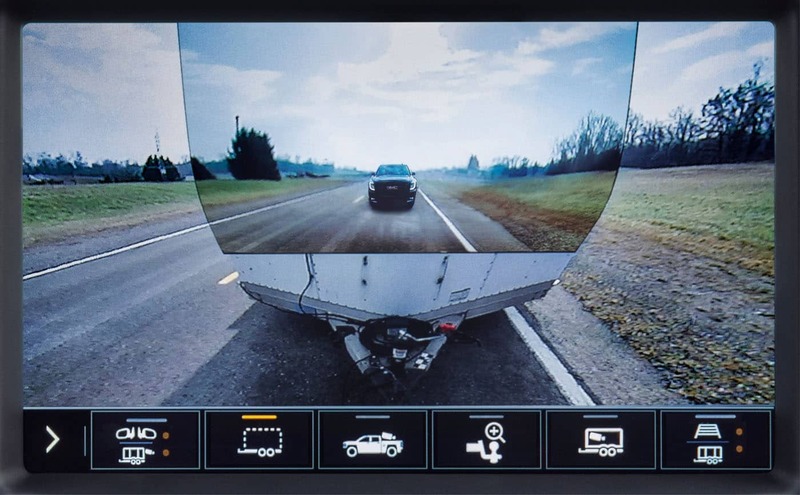 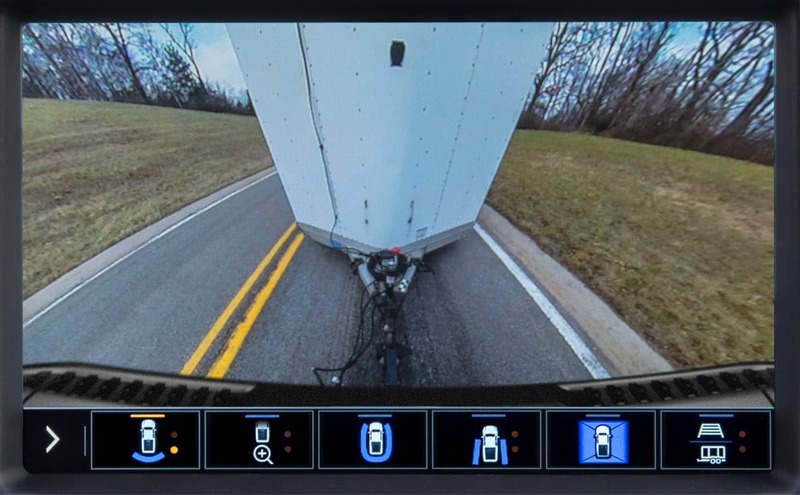 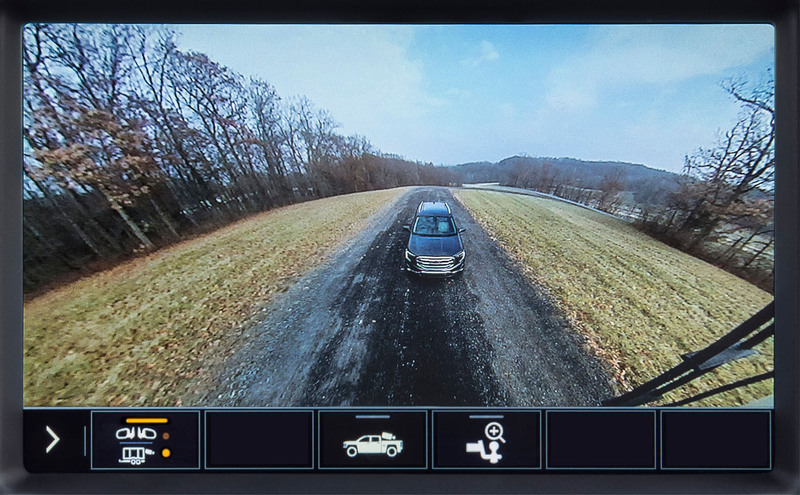 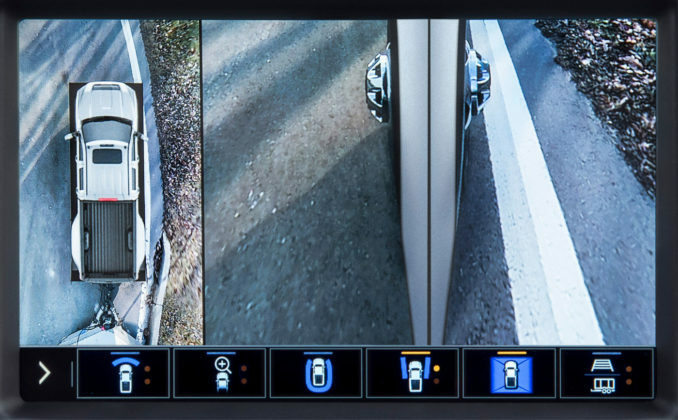 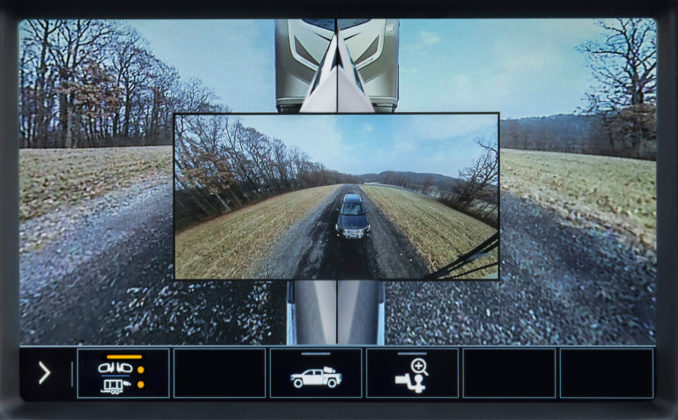 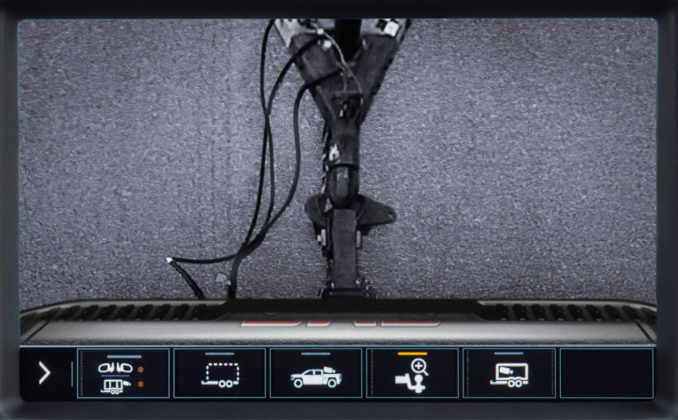 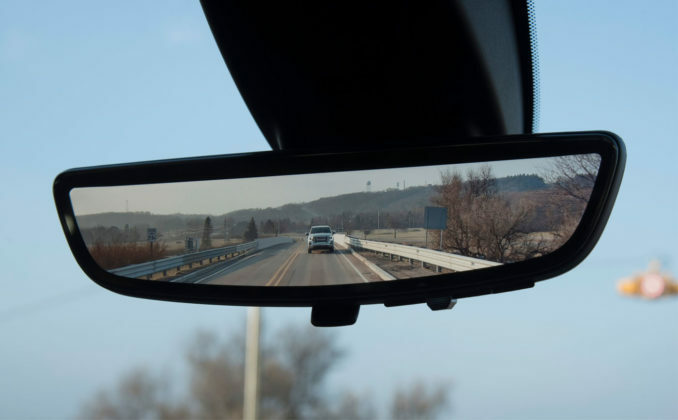 There are 15 total cameras included in the PTT which provide a complete view of what’s happening behind your Sierra HD as your trying to attach the trailer and after you drive off. 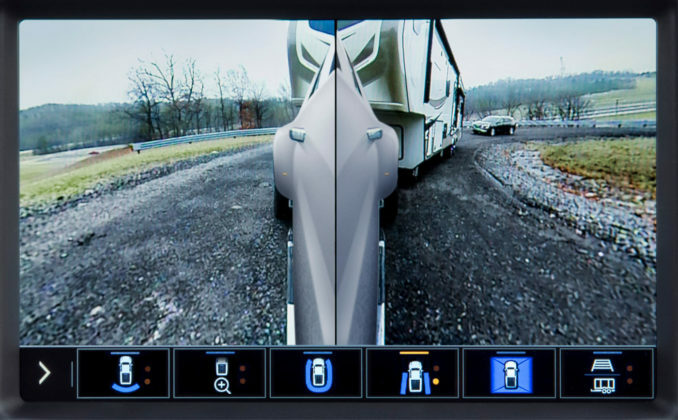 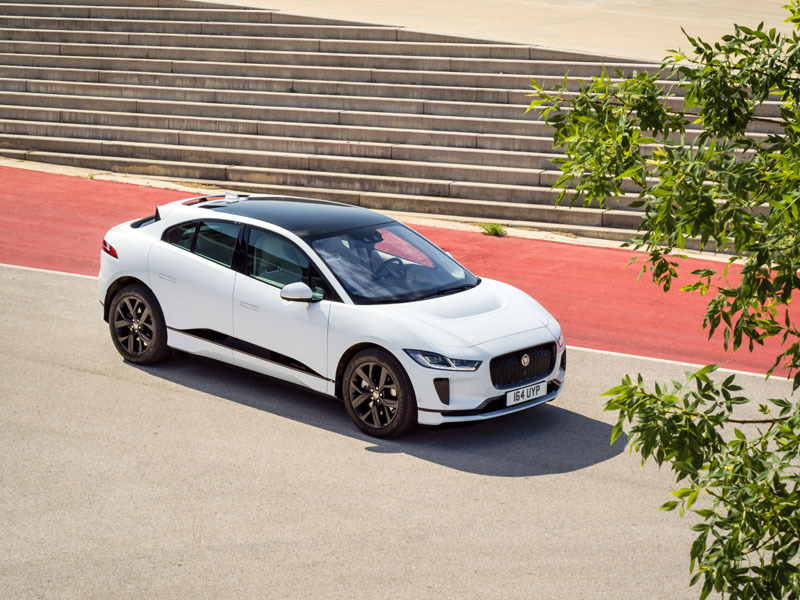 There’s even an industry first transparent trailer view which as the name implies makes your trailer “invisible” in order to assist with parking manœuvres or whenever you need to see directly behind you. The ProGrade Trailering System also includes a Trailering App that enables the owner to test the trailer light and electrical system, a trailer tire pressure and temperature monitoring system, and departure checklist and maintenance reminders. 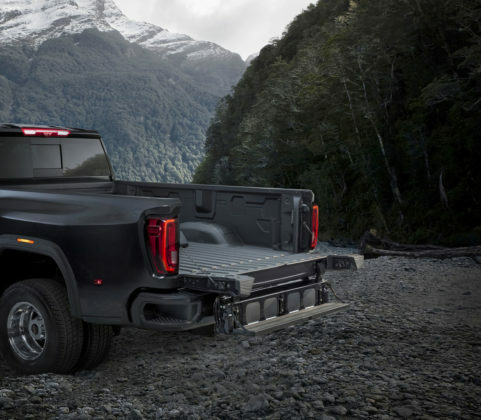 Like the Sierra 1500, the 2020 Sierra HD will get a more rugged AT4 version. 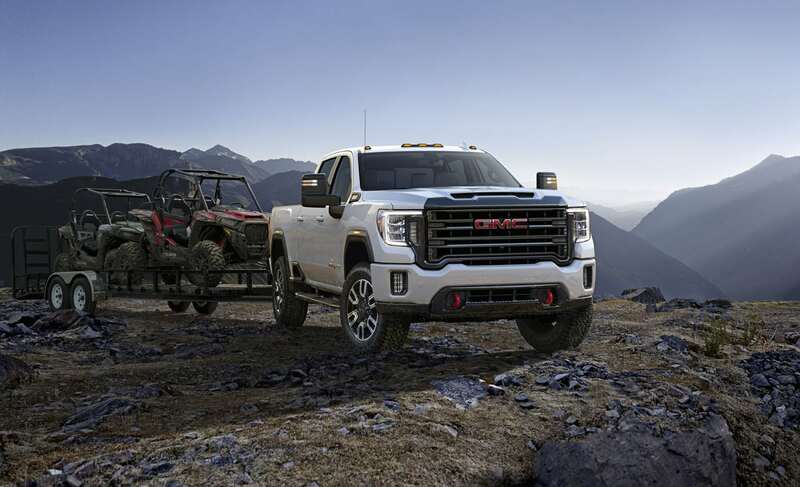 AT4 is GMC’s new-ish off-road designation and models that carry the nameplate get distinctive design features meant to make the truck look tougher. 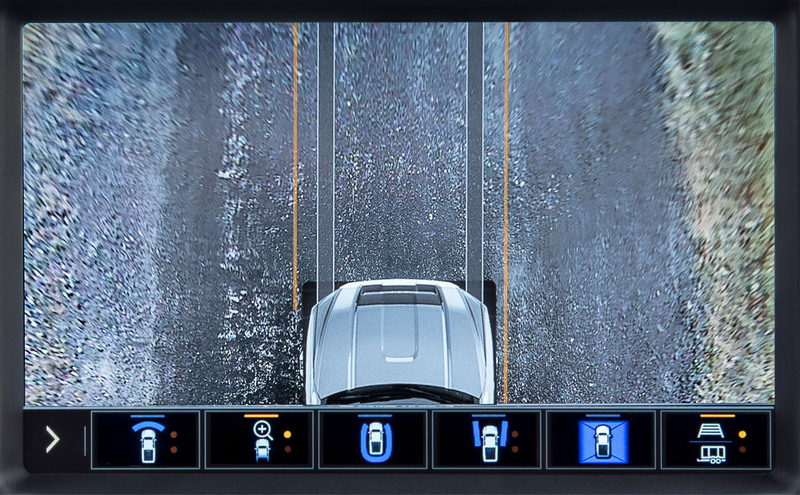 It’s not all show, however. the Sierra AT4 HD will get an off-road suspension, Rancho shocks, skid plates for improved underbody protection on tough terrain and an Eaton locking rear differential. 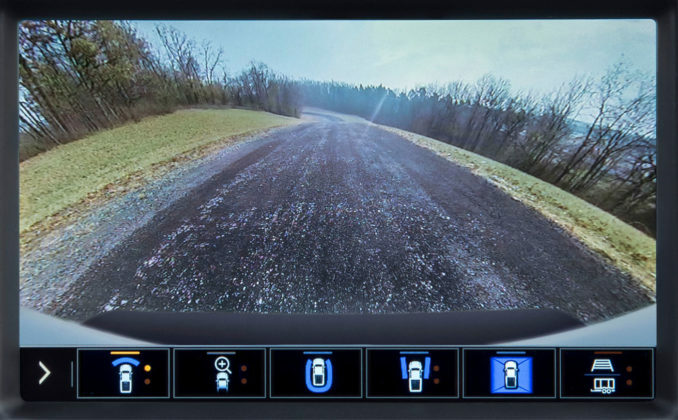 Michelin all-terrain tires wrap themselves around 18-inch or 20-inch wheels. There’s also a 15-inch diagonal head-up display and an inclinometer. 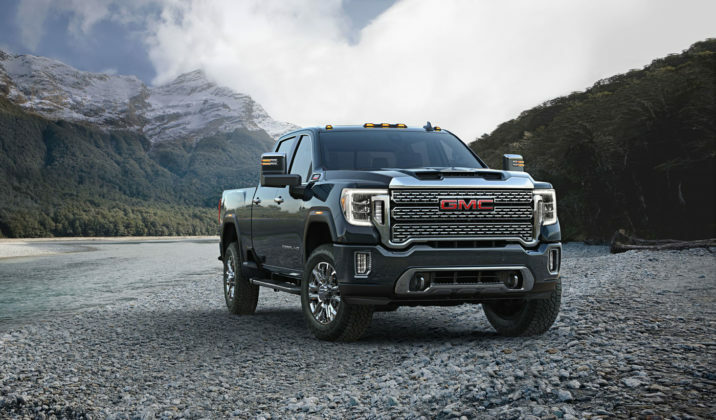 The 2020 GMC Sierra HD is scheduled to arrive in late summer. 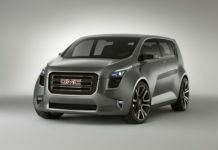 Pricing is yet to be confirmed.